Annabelle, Ailey, and I have had quite the summer visiting my family in Connecticut. 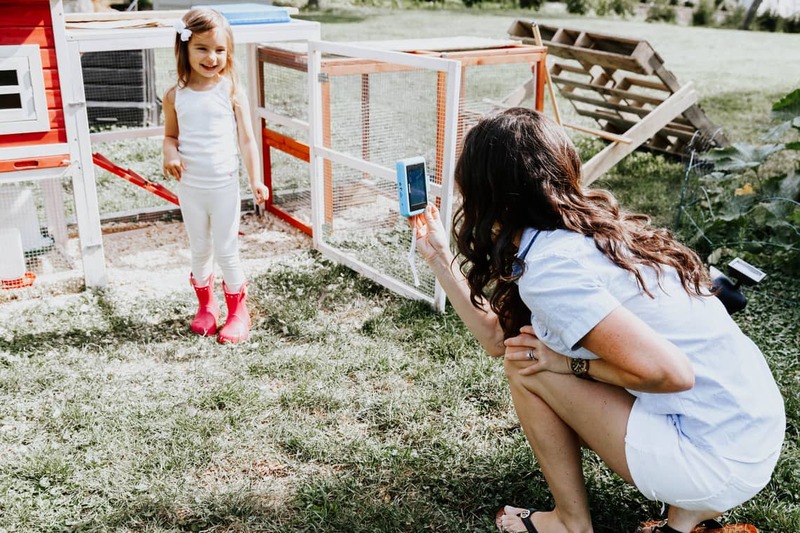 From feeding the chickens every morning to enjoying popsicles on the back deck in the afternoon, the girls and I created some very special memories. 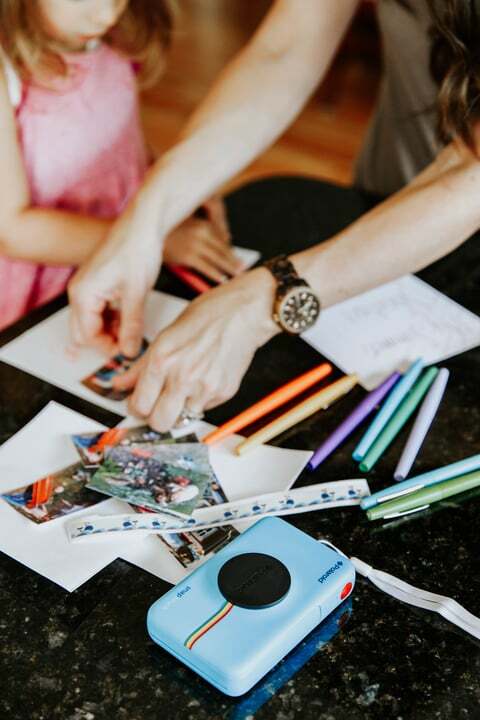 As a way to preserve our summer adventures, we captured our favorite moments using the Polaroid Snap Touch instant digital camera. 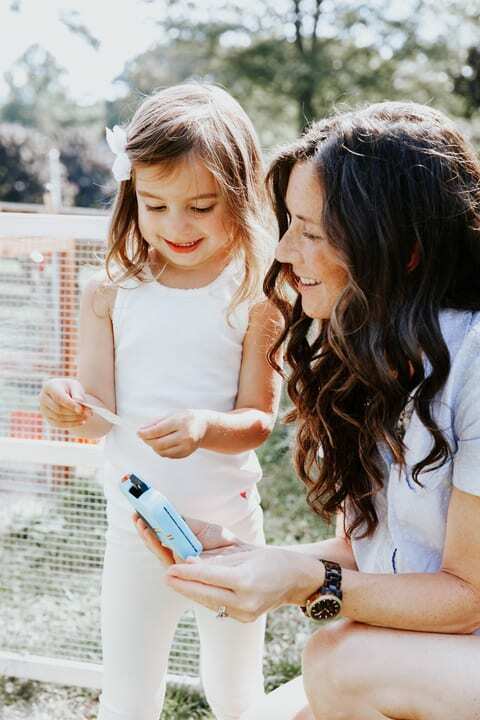 With just a point, snap, and touch, I can print our photos instantly to put in a summer vacation scrapbook that Annabelle can share with her new friends at school this fall. One of our favorite memories is from tending to my brother and sister-in-laws new chicks. Annabelle became quite the little chicken tamer, letting them out to roam in the yard and sprinkling food around for them to eat. We checked to see if they had laid any eggs each morning and then watched the chicks, Cindy, Charlotte, and Carol, peck for bugs in the garden. After hanging out with the chickens, we often visited Annabelle's fairy garden. She loves to tell everyone she knows about the fairies that live in the tiny house in the front yard. Annabelle loves arts and crafts, so I was not surprised when she wanted to take charge of the summer scrapbook assembly. 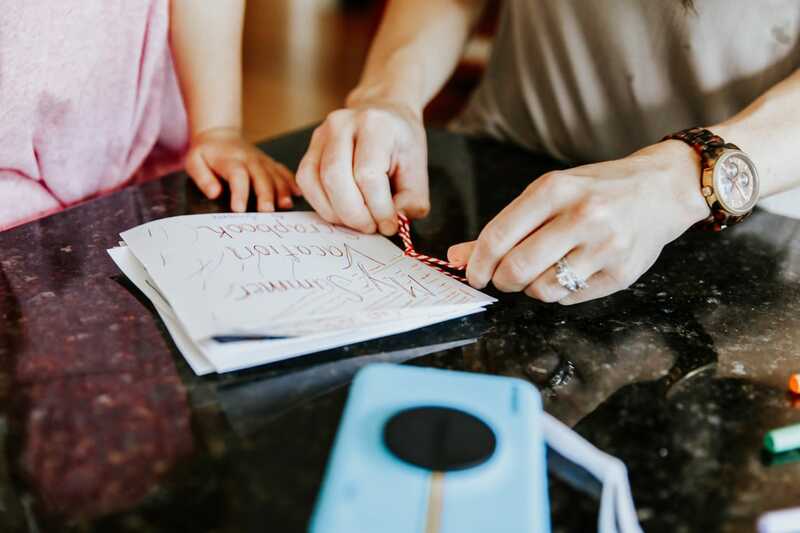 Kid-friendly is the way to go when crafting with a toddler. We used Polaroid photos, tape, markers, cardstock, and a little bit of string to put together a summary of her summer fun. 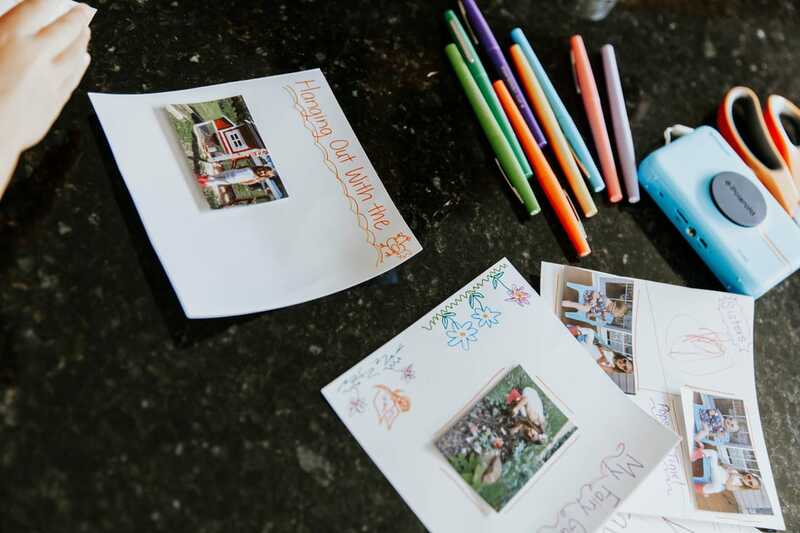 You can use whatever additional decorations you may like, stickers or glitter to accent each page, or keep it simple with captions and doodles. 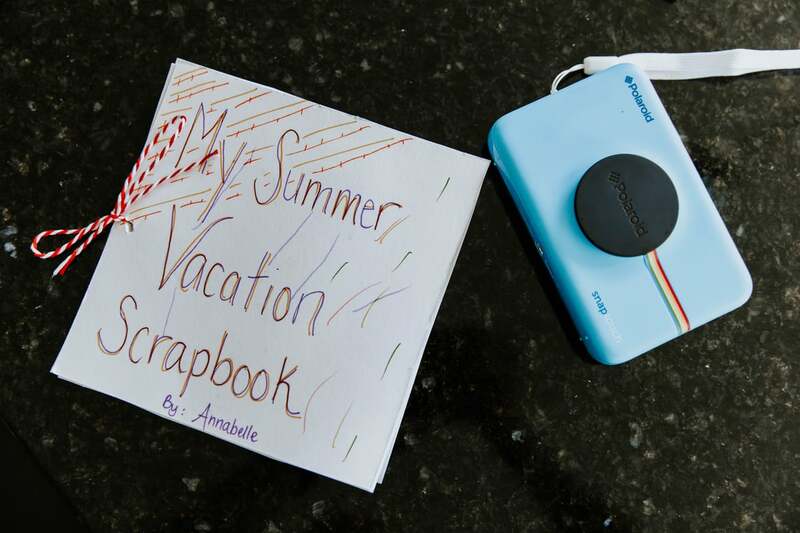 Creating a summer vacation scrapbook is so easy with the Polaroid Snap Touch instant digital camera. 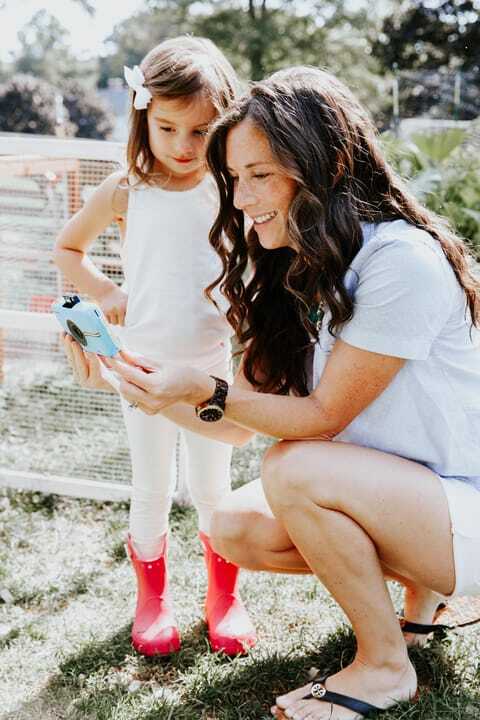 With the first day of school quickly approaching, I love to carry the camera in my diaper bag everywhere we go in case I want to capture an impromptu special moment. 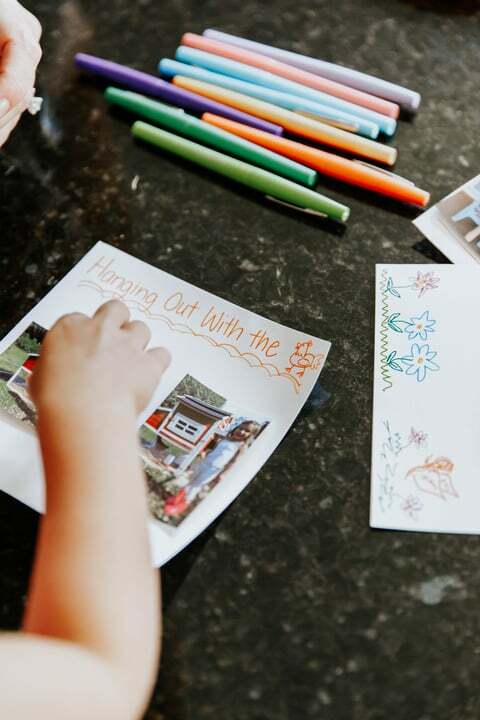 We will continue to add memories to Annabelle's summer vacation scrapbook until it's time to create something new - like a preschool memory or fall adventure scrapbook.